Dr Jonathan Dostrovsky has completed his undergraduate studies in Israel at the Israel Institute of Technology in 1969. He continued his studies in the United Kingdom where he obtained his M.Sc degree in 1971, here he worked with Dr Jonathan O’Keefe at the University College London. During these years they discovered that hippocampal pyramidal cells can fire based on the particular spatial location of the animal, these cells were named ‘place cells’. The discovery of these cells opened a very novel avenue of research, this publication has been cited more than 2000 times and it is part of every textbook discussing spatial navigation and hippocampal function. Next, Dr Dostrovsky moved to Toronto to complete his PhD degree. From this moment the University of Toronto became his workplace where he climbed the academic rank and became a full professor in 1989. Currently he is a professor emeritus at the Department of Physiology. 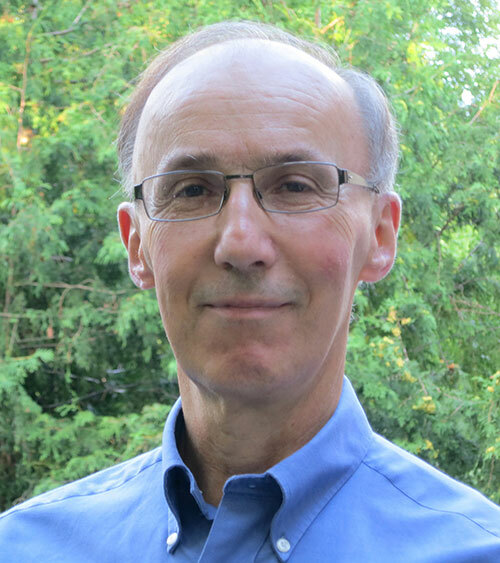 Throughout his career Dr Dostrovsky has made significant advances in our understanding of the neurophysiological basis of pain perception, movement and movement disorders and somatosensory information processing. The hallmark of these studies is the elegant combination of experiments executed in various animal models and data obtained from humans. Data from the Dostrovsky lab shed light on how noxious information is processed at the level of the thalamus in humans and in a rat model of allodynia. In a publication in Nature Dr Dostrovsky demonstrated how thalamic networks could contribute to phantom sensations in amputees. He also studied this question in animal models, where the plasticity of the sensory map in thalamic networks was demonstrated in rats after the removal of the hind-limb input. In a series of elegant studies he has unveiled the relationship between movement disorders and altered thalamic oscillatory activity. These studies have significantly contributed to our current understanding of physiological and pathological information transfer in the somatosensory network. Dr Dostrovsky has filled several key positions on the Board of CAN, among others, he has been the President between 2005 and 2007, and he was the Chair of the Organizing committee of the first annual CAN meeting in 2007. O’Keefe, J. and Dostrovsky, J. (1971). The hippocampus as a spatial map. Preliminary evidence from unit activity in the freely moving rat. Brain Res. 34, 17175. Davis, K.D., Kiss, Z.H.T., Luo, L, Tasker, R., Lozano, A.M. and Dostrovsky, J.O., (1998) Phantom sensations generated by thalamic microstimulation, Nature 391: 385-387. Parker, J.L., Wood, M.L. and Dostrovsky, J.O. (1998) A focal zone of thalamic plasticity. J. Neurosci 18 (1): 548558. Levy R, Ashby P, Hutchison WD, Lang AE, Lozano AM, Dostrovsky JO. Dependence of subthalamic nucleus oscillations on movement and dopamine in Parkinson’s disease. Brain. 2002 Jun;125(Pt 6):1196-1209. Davis, K.D., Kiss, Z.H.T., Tasker, R.R., and Dostrovsky, J.O. (1996) Thalamic stimulation-evoked sensations in chronic pain patients and in non-pain (movement disorder) patients. J. Neurophysiology 75: 1026-1037. Sherman, S.E., Luo, L. and Dostrovsky, J.O. (1997) Altered receptive fields and sensory modalities of rat VPL thalamic neurons during spinal strychnine-induced allodynia . J. Neurophysiology 78;2296-2308, 1997. Levy R, Hutchison WD, Lozano AM and Dostrovsky JO. (2000) High frequency synchronization of neuronal activity in the subthalamic nucleus of parkinsonian patients with limb tremor. J. Neuroscience Oct 15;20(20):7766-75. The Canadian Association for Neuroscience elects as Honorary Members persons who have rendered distinguished service to neurosciences. The Executive recommends suitable candidates periodically for Honorary Membership. Such candidates become Honorary Members by a majority vote of the Membership at the Annual Meeting. Copyright © 2019 Canadian Association for Neuroscience. All Rights Reserved.